Today, Google announced a new initiative for new and existing Google Fit users. 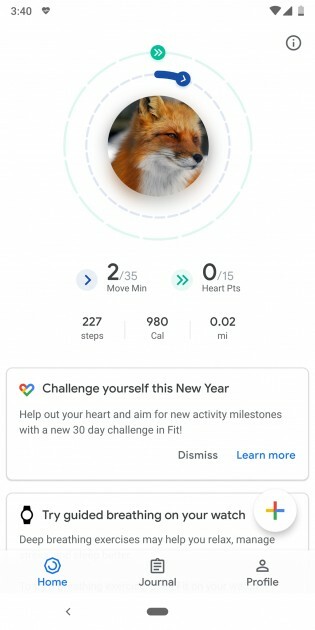 In honor of the upcoming new year and in honor of the many people who make resolutions only to give them up in the first month, Google is going to offer monthly fitness challenges on the Google Fit app in hopes that theyll help Google Fit users stay on track. Right now, you can head to the Google Fit app and sign up for a 30-day challenge which will begin on January 1. The app will offer encouragement throughout the month and to help push these Fit challenges, Google has garnered the help of 36 YouTube and Instagram influencers from 9 countries around the world. For more inspiration, weve teamed up with 36 influencers from nine countries around the globe to show us how theyre earning their Heart Points. Follow #GetFitWithGoogle on Instagram and YouTube to see how others are tackling the challenge, or share your own tips and tricks on how you #GetFitwithGoogle with your favorite Heart Points workout. In the blog post, Google offers some ways to stay active during the winter months: go sledding, shovel some snow, park further away, ski or snowboard, or catch a spin class (?). 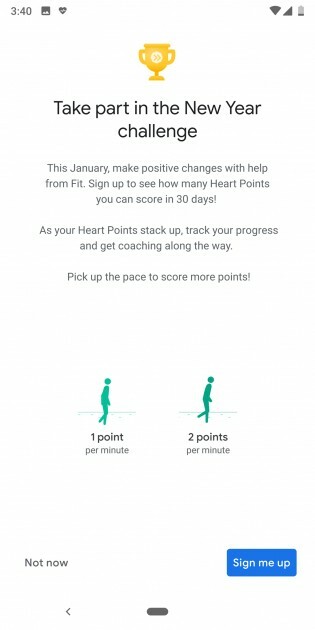 The first challenge focuses on earning more Heart Points. Earn one Heart Point per minute for moderate activity like fast-walking or earn two Heart Points per minute for more rigorous activity like running or biking.